Who would have thought that deciding on a quilt back could be such agony. I started this quilt before Christmas and had the most trouble I ever had deciding on a fabric for the back. My thoughts ventures from a subtle text fabric such as one of the Architexture ones to a cloth I bought two years ago in the South of France to a rough old linen I bought in Dresden and then to a plain white only to get stuck somewhere on the return loop. 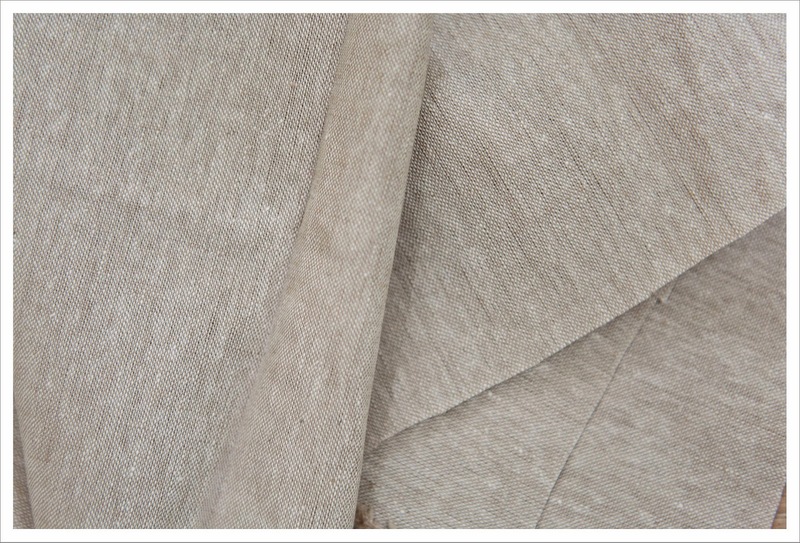 Then finally just before I went in holiday I decided on an Essex yarn dyed fabric that is a cotton/linen blend in the colour Flax (bought at the Village Haberdashery). A pricey option for sure but one that I am finally happy with. I will quilt in 1 inch spaced lines in a grid which will take foooor evvvvveeeeeeeerrrrr..... just as well that I love this part of the job. 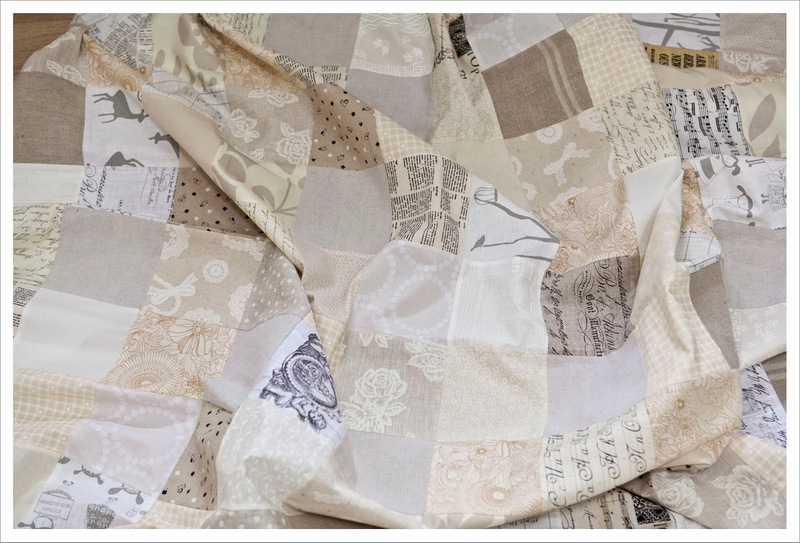 Lovely patchwork and the backing is a good choice! 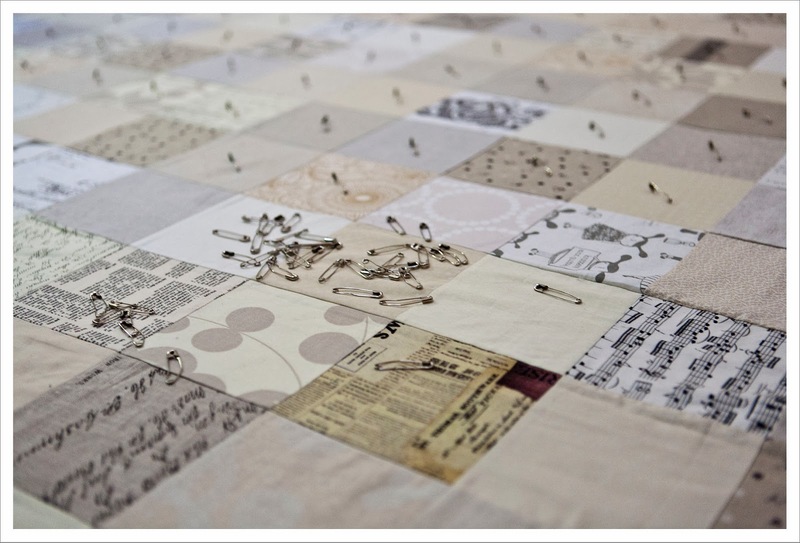 I am so inspired to make a neutral quilt like this one or your hexagons, your quilt is beautiful. Sophisticated quilt and it is going to be so luxurious when all quilted up!! !